Dead Sea salt comes from the famous hypersaline lake, where extremely precious active ingredients have been concentrated for thousands of years. The high percentage of minerals (magnesium, potassium, sodium and calcium) in the salt makes it ideal for preparing a great, relaxing spa bath. It is also exceptional for cosmetic treatment that helps to prevent cellulite*, for peels to remove dead cells and for a revitalizing footbath. A warm bath enriched with the salt helps to make the skin soft and toned. The high percentage of minerals (magnesium, potassium, sodium and calcium) in the salt makes it ideal for preparing a great, relaxing spa bath. It is also exceptional for cosmetic treatment that helps to prevent cellulite*, for scrubs to remove dead cells and for a revitalizing footbath. Warning: Do not use on damaged or irritated skin. Do not use on the face. 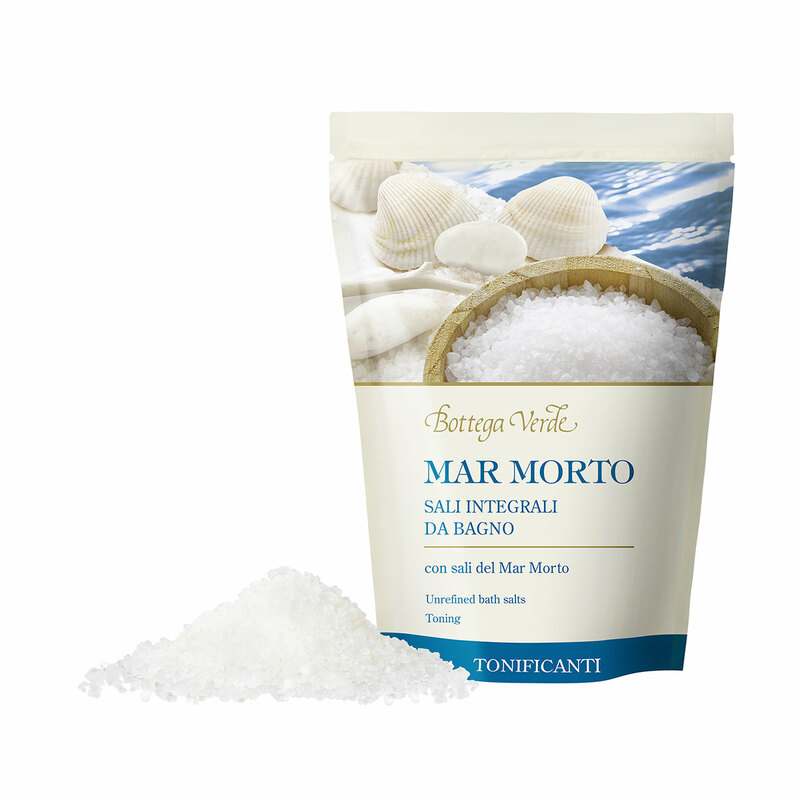 Direction for use:Spa bath: dissolve 100 g of salt in the bathtub and soak for 15 minutes. Do not use in whirlpool tubs. Anti-cellulite* treatment: dissolve 2 tablespoons of salt in a bath half filled with warm water. Once in the water, massage your hips and thighs. Foot bath: dissolve a tablespoon of salt in warm water and soak your feet for 10 minutes. Scrub: massage the salt directly into your body, starting with your legs and moving up to your shoulders. Suggestions:All women who want to enjoy a relaxing foot bath or benefit from treatment to prevent unsightly cellulite when they take a bath.